We finally had enough snow, and a free Saturday afternoon that happened to fall at the same time! 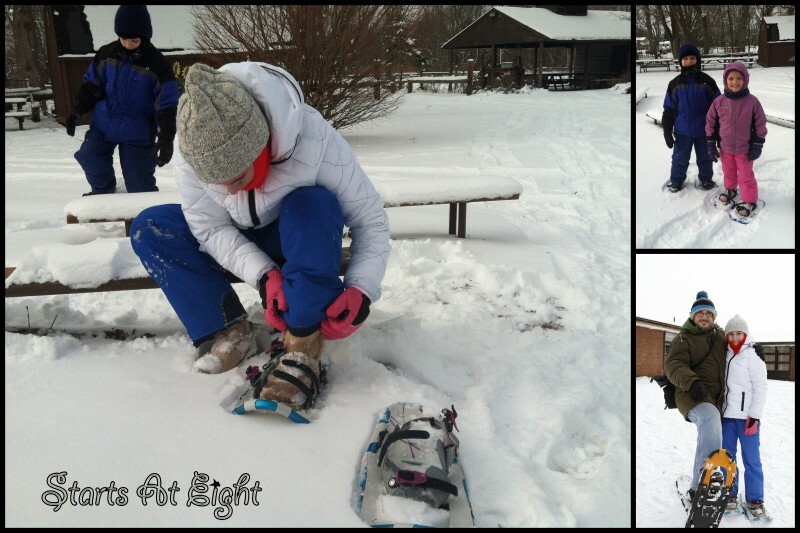 This meant that we could try snowshoeing for the first time! We had wanted to go last year but never had enough snow to do it. This season the weekend we planned on going, all the snow melted two days before then so we couldn’t go! 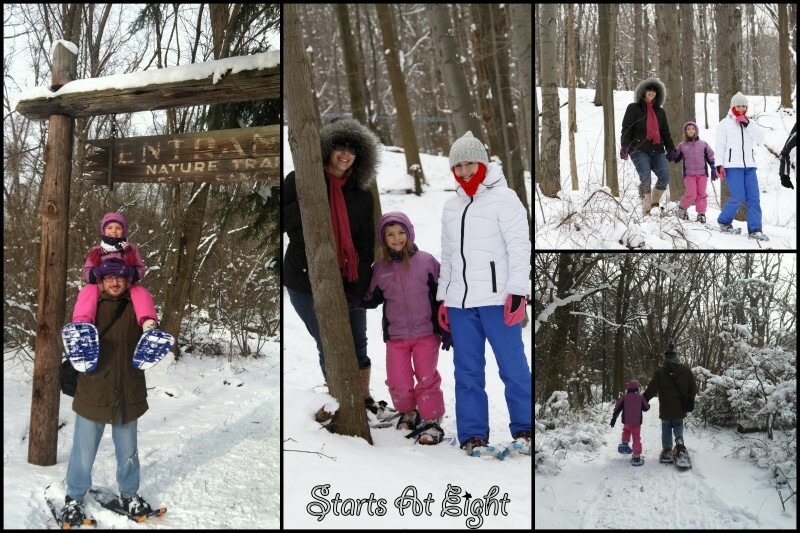 Lucky for us it snowed again, and on a Saturday that we were free! Preparing to hit the trails!